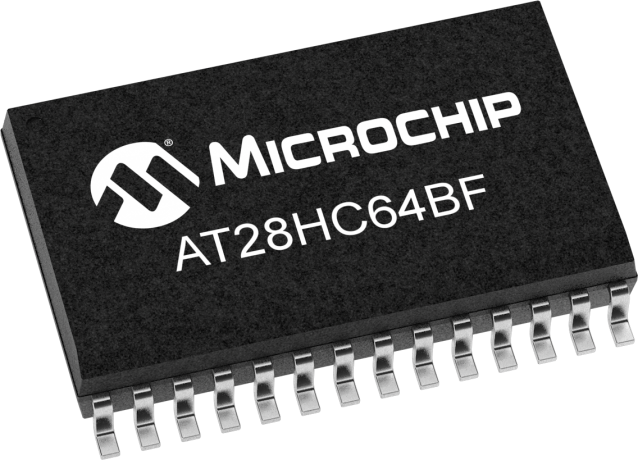 The Microchip AT28HC64BF is a high-performance 64Kbit Parallel EEPROM offering access times to 55ns with power dissipation of 220mW. Deselected, CMOS standby current is less than 100µA. Accessed like static RAM for the read or write cycle without external components, it contains a 64-byte page register to allow writing of up to 64 bytes simultaneously. Optional Software Data Protection mechanism guards against inadvertent writes; and an extra 64 bytes of EEPROM enables device identification or tracking.